On screens across the world, women call themselves “Real Housewives” while they scream, sob, and scam their way to the top. Meanwhile, spiraling in shame in their bedrooms, Michael and Patrick clandestinely binge on the gaudy lives and savvy strategies of these expert performance artists. 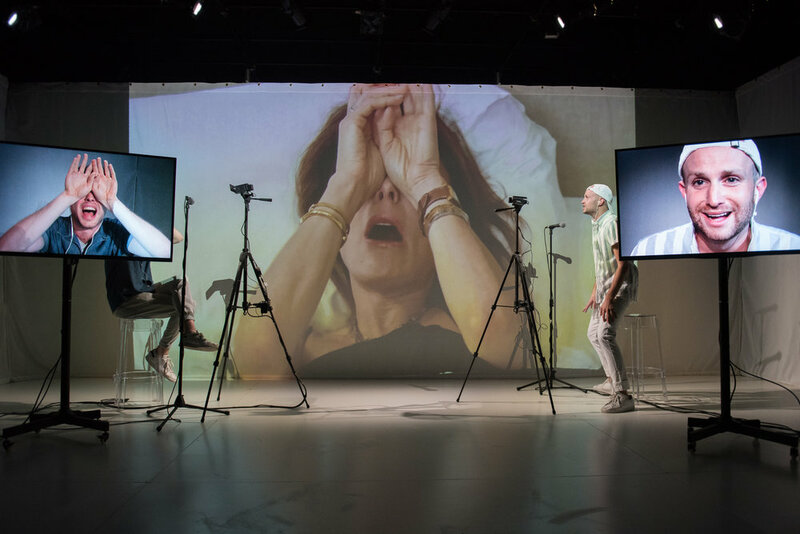 A raucous multimedia theatre work, This American Wife tracks Michael and Patrick’s obsessions with intimacy, queerness, and the deep desire to see and be seen. 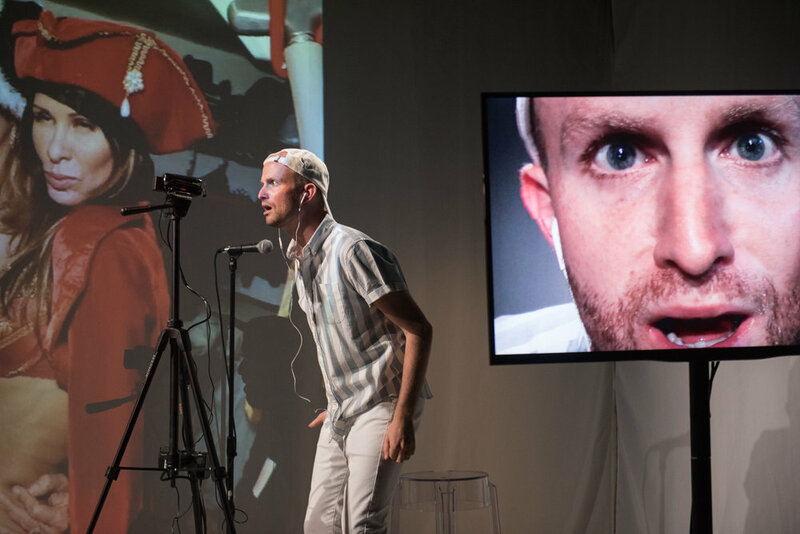 Projection Designer: WLADIMIRO A. WOYNO R.
Michael + Patrick make theater about theater for people our age.